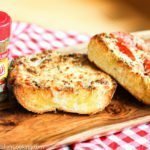 This is an amazing and unique version of garlic bread. It uses Pecorino cheese and Mrs. Dash Tomato Basil Garlic Blend seasoning. I always load my garlic bread with lots of butter and broil it until the cheese is bubbly and hot. 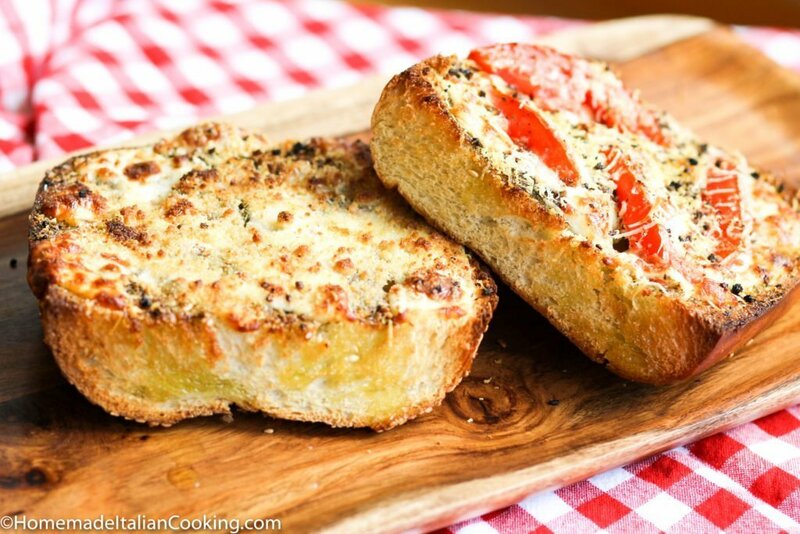 The result is a super flavorful and cheesy bread appetizer. Mrs. Dash Tomato, Basil, Garlic Blend seasoning is an intense, salt-free blend of sun-dried tomatoes, garlic powder , basil and spices. I always keep a jar in my pantry for those times when I don’t have fresh ingredients. I am not compensated in any way by endorsing this product. I just like it. 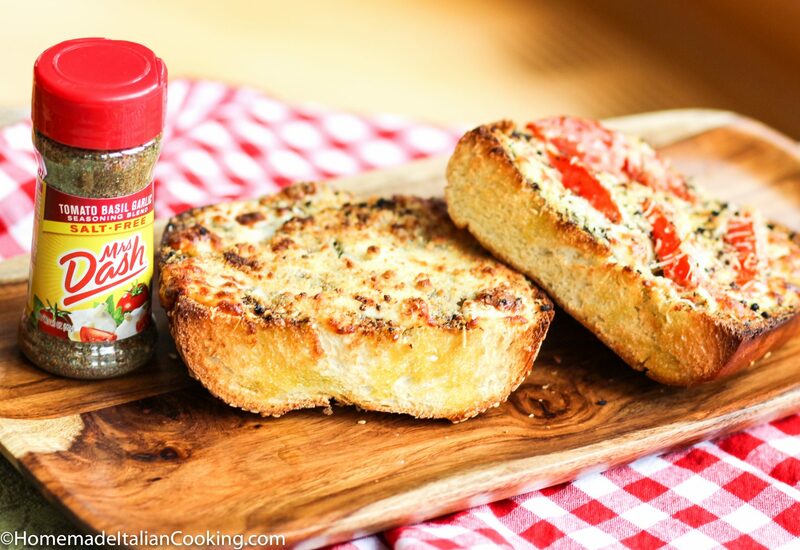 Credit goes to my friend Dave G. for recommending Mrs Dash Tomato Basil Garlic Blend seasoning. He likes to put it on grilled chicken. I will have to try that next. This is an amazing and unique version of garlic bread. It uses Pecorino cheese and Mrs. Dash Tomato Basil Garlic Blend seasoning. The result is super savory and rich. I always load my garlic bread with butter and broil until the cheese is bubbly and hot. Mix Mrs. Dash seasoning and salt in a small bowl. Split focaccia in half lengthwise. Spread each cut side with butter. Sprinkle with the spice mixture. Top with the grated cheese. Broil for 6 minutes until golden brown and bubbly. Cut in strips and serve hot. Previous Post: « Affogato: My new obsession is espresso over ice cream. You must try it! Sign-up for recipes & more! The Most Amazing Dark Chocolate Flourless Cake!